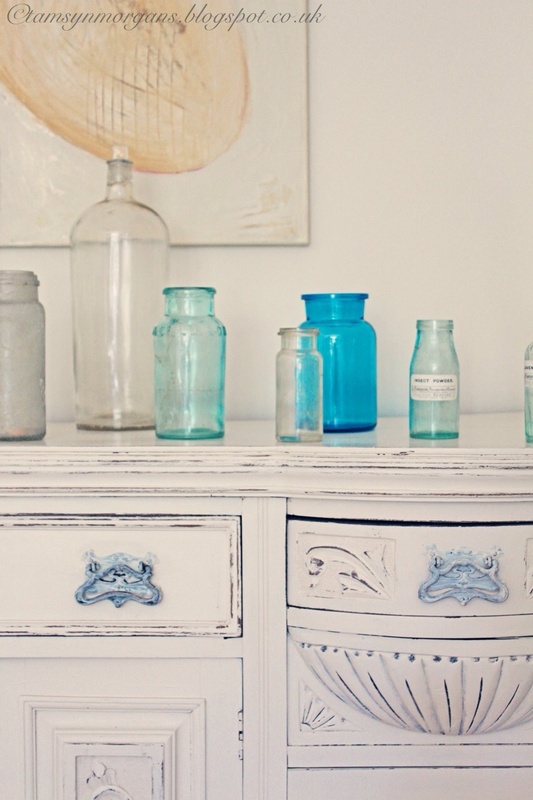 I thought I’d share some pictures of one of my favourite pieces of furniture with you today. This huge sideboard lives at the back of my living room, and as the weather is so glorious today, the sun is pouring in and lighting up what is usually a darker corner of the room. So a perfect opportunity to get my camera out. About a year ago I decided that I needed to find a beast of a sideboard to fill this wall, and that is exactly what I did! I found this at an auction, and it’s huge. 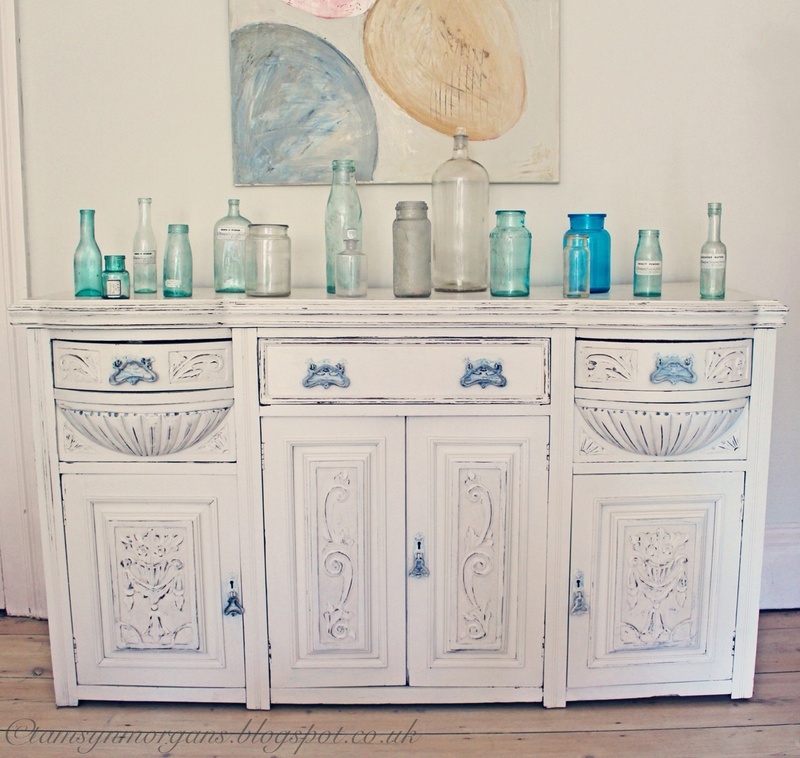 I stripped it back and painted it a milky white, and distressed to show off the beautiful carving. It is an excellent place to store all manner of household stuff, I even have a drawer for all the drawings, certificates and painting the children bring home from school (I plan to put them all in a scrapbook-evenutally!). As it’s so big, it’s not an easy piece to dress, you either need to go minimal with a huge statement vase of flowers in the middle, or lots of smaller items grouped together. 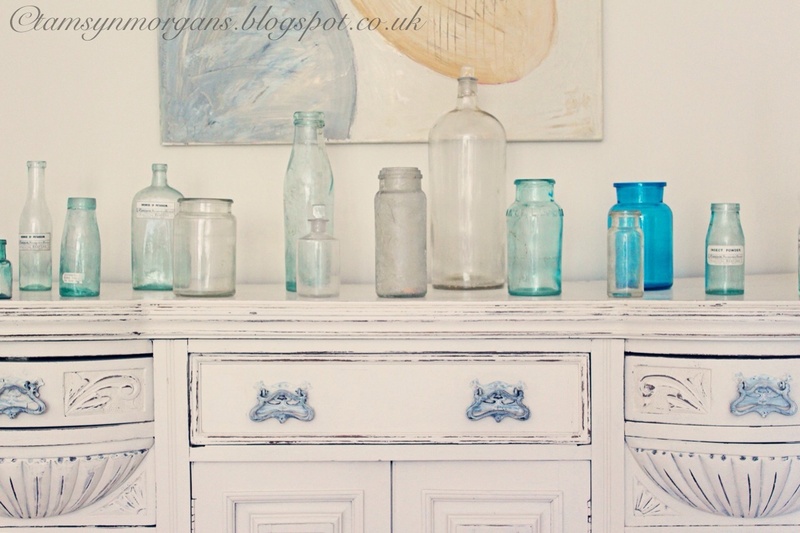 I pulled out all my vintage jars and bottles, grouped them on top, and I’m pretty pleased with how it looks. On a practical level, whilst the children are still flinging things at each other, I will probably save the bottle display for another time! Perhaps with a single bloom in each for a stunning floral display? The painting in the background is one I did many years ago based on some pebbles I found, I got creative with some paint tester pots and eggshell paints. Enjoy the rest of your day, a bit of al fresco dining and Pimms is called for later I think! Great !!! Fabulous! i think this is incredible! 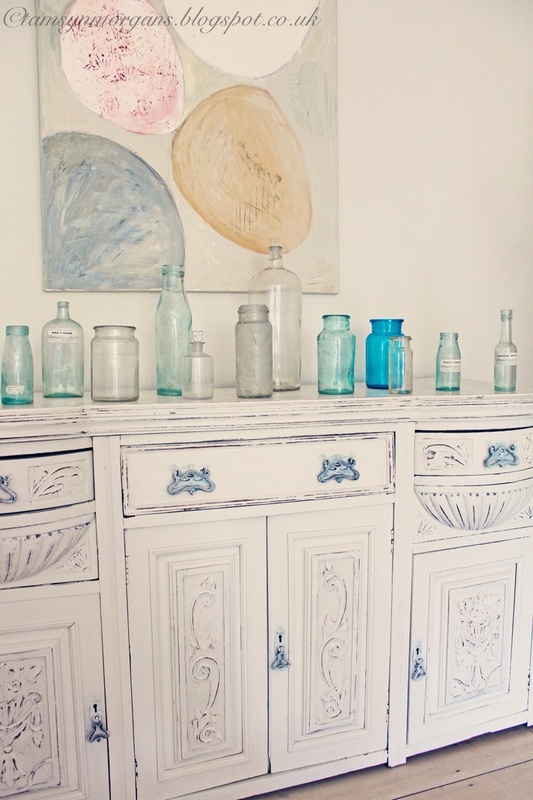 Sideboard is gorgeous and the makeover is totally amazing. I love it. 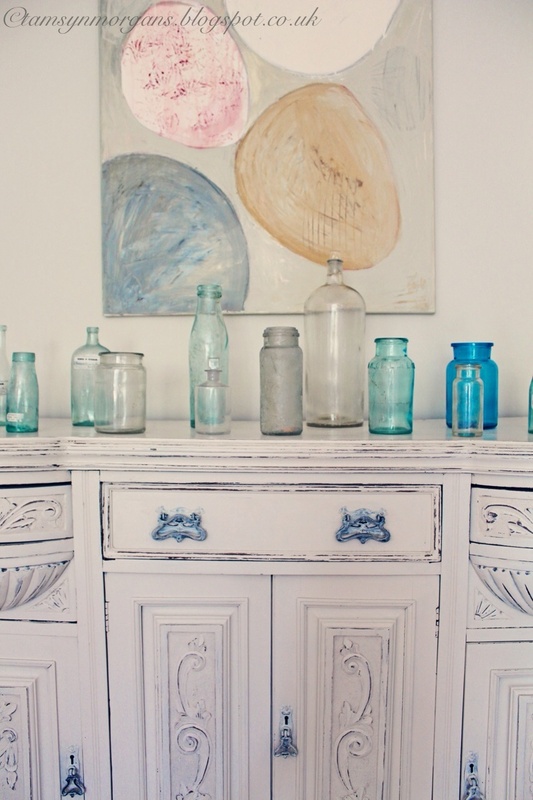 You really did a super job with the Sideboard! I use to do buy online Sideboard as its time saving. Wow!! 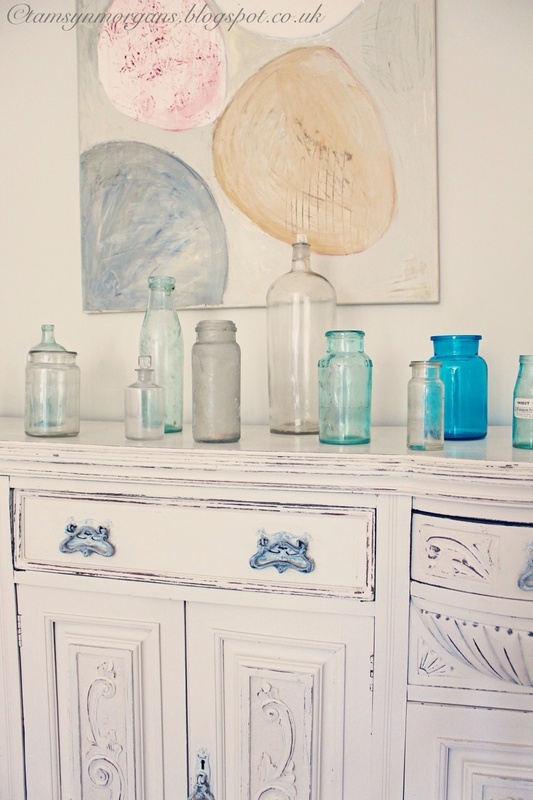 Really awesome sideboard and the bottles also give a much more Charming look.